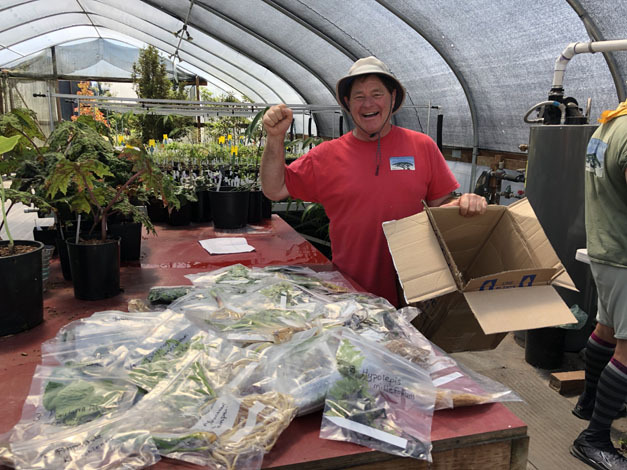 Hidden away in the comparative far reaches of Washington State’s Olympic Peninsula is a small botanical nonprofit with a global reach, Far Reaches Botanical Conservancy (FRBC). Officially in its second year, this nonprofit has been in the making for quite some time. As FRBC founding directors, we—Sue Milliken and Kelly Dodson—have long been advocates for the conservation of vulnerable plants. We also own Far Reaches Farm, one of the leading rare plant nurseries in the United States. For years, the nursery has subsidized the acquisition, conservation, and distribution of important yet spectacularly unprofitable plants. Not surprisingly, financial constraints necessarily limited the scope of these activities. 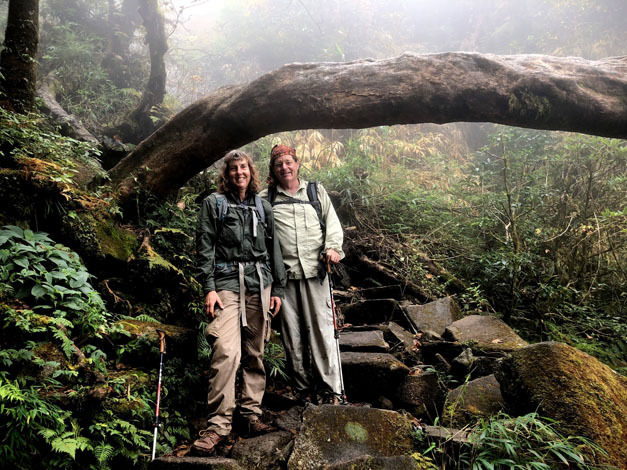 As plant hunters and explorers who met on an expedition in Yunnan in 1997, we have witnessed first-hand the exponential burden placed on fragile wild plant populations. The adverse effects are primarily from exploding human pressure, but climate change is playing an ever-larger role as temperatures and rainfall increasingly deviate from historic patterns. As well-traveled nursery owners, we have seen the worldwide decline in nurseries, particularly acute in specialty nurseries. Plant societies have not been immune with membership becoming grayer and most sharing the refrain: “How do we get the Millennials involved?” Universities are reducing or eliminating horticulture and botany programs. These combined trends are nothing short of alarming for ornamental horticulture. The Pardancanda in the coalmine is sounding the alarm with an anemic chlorosis. 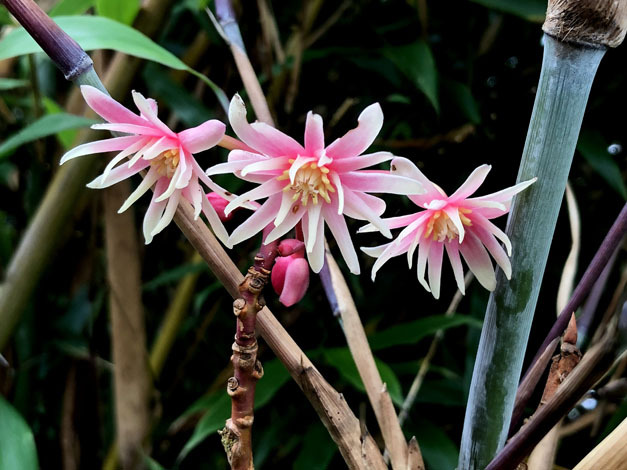 Many botanic gardens that historically focused on scientifically important plant collections have found it necessary to widen their lens with large flower displays, art exhibitions, music events, and restaurants. This is not a bad thing—simply different—and the increased revenue from higher attendance does allow good plant work to be done. However, it illustrates that plants on their own merits can be a difficult draw. We all hope that repeated exposure to gardens and interesting plants will act as a recruitment tool through a sort of subliminal “plants are cool” osmosis. 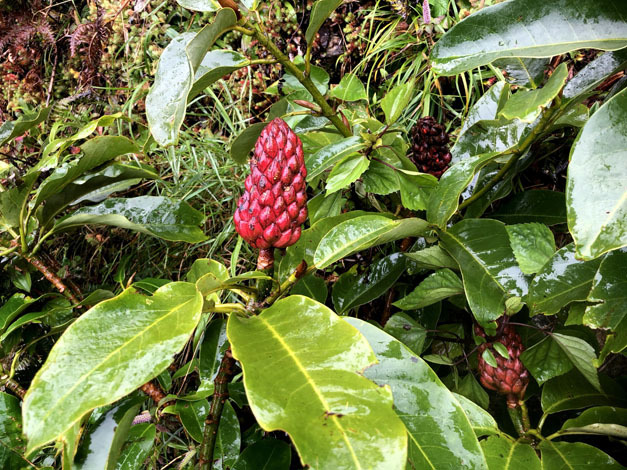 The FRBC was formed in response to a mounting sense of urgency that important horticultural and botanically significant plants are increasingly imperiled—not only in the wild, but in cultivation as well. The difficulties faced by wild plants is easily understood, but the challenges faced by cultivated plants is perhaps less clear. Consider the great gardening heritage of the United Kingdom, which is also grappling with this dilemma. We lay awake at night worrying about specific plants or collections, along with the attendant unique store of knowledge, held in the hands of one individual in the UK. The primary objectives and mission of the FRBC is the acquisition and importation of such plants. 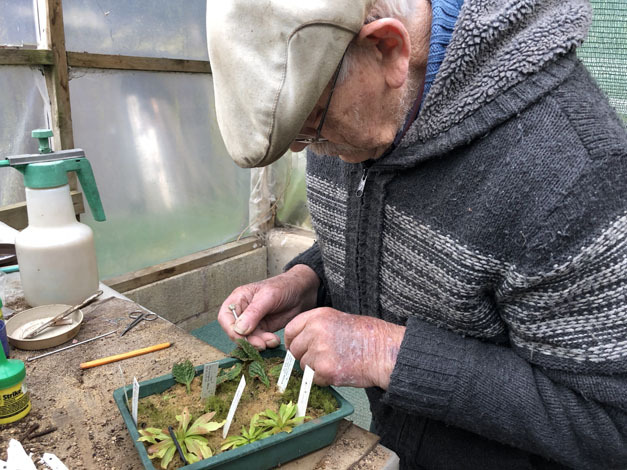 These will be incorporated into a carefully maintained conservation nursery that is essentially a botanical archive of living genetic resources. This goal will be accompanied by an educational component—what are these plants and why do they matter. Equally important is the distribution of these plants to researchers, botanic gardens, and enthusiasts because conservation is best served by not keeping all the green eggs in one basket, but by thoughtful dispersal throughout the horticultural community. The FRBC will be an external botanical backup of plants with the capacity for repatriation in the event the original source plants are lost. A mentor of ours told us long ago that the best way to keep a plant is to share it and this has proved wise many times over when we have lost a plant but have been able to reacquire it from friends. Far Reaches Botanical Conservancy is very small compared to many botanical nonprofits, but our size encourages nimbleness when presented with opportunity. We have hit the ground running and the inaugural year following formation of the FRBC has been very productive by any gauge. We were part of a small team that embarked on a plant exploration foray to Vietnam, which saw new species discovered. We made two trips to the UK to acquire plants and also, to our great delight, hand-carry plants from the FRBC to Royal Botanic Garden Kew to become part of its permanent collection. We concluded the year with a 30-day cross-country FRBC roadshow with five lectures in Michigan, Pennsylvania, and Maryland, meeting with botanic gardens and gardening enthusiasts along the way. This was all possible thanks to donations from individuals all across the U.S. and Canada. Because we are fortunate to have greenhouses, we don’t have to limit ourselves to what will grow outdoors here in the Northwest; many of these plants will be better suited to gardens in other parts of North America. 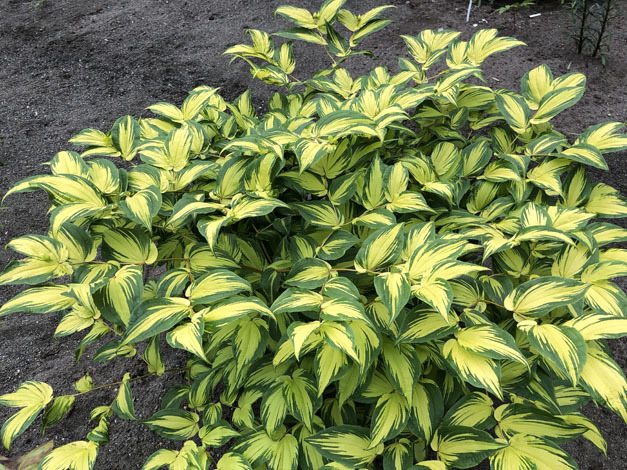 More important considerations for FRBC plant introductions are the degree of risk to habitat or in cultivation, as well as horticultural or botanical merit. Subsequent distribution will be accomplished through the Far Reaches Farm mail order platform. Let us mention the obvious: All importations are inspected by USDA to ensure they conform to all pest, disease, and invasive species protocols. In a small but important way, we are pushing back at the accumulation of human folly thrust upon our planet with habit degradation and climate change. And we get to have fun adding exciting plants to horticulture and contributing to science—it doesn’t get much better. We invite you to share in our adventure. Learn more about our conservation efforts and how you can support them at www.farreachesbotanicalconservancy.org.